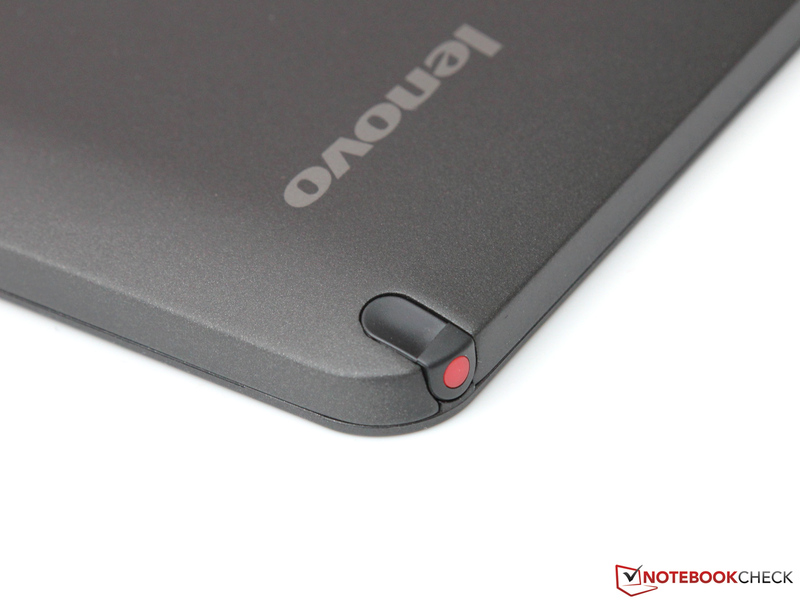 Laptop, tablet and everything in between - and all of that in just one device: That is what Lenovo promises. On a first glance, this concept may hardly seem revolutionary, as Lenovo has been producing convertibles such as the ThinkPad X230T for years. But the new ThinkPad Helix is different - in a fundamental way. Unlike conventional convertibles, the hardware of the Helix is not hidden in the base unit. Instead, it is fully integrated into the display lid. 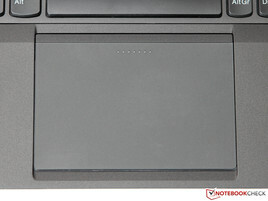 This design choice, which has been used by a number of ARM and Intel Atom devices, offers a decisive advantage: Both components can be separated whenever this becomes necessary, turning the laptop into a tablet - without the extra heft added by the keyboard and the entirety of the base unit. 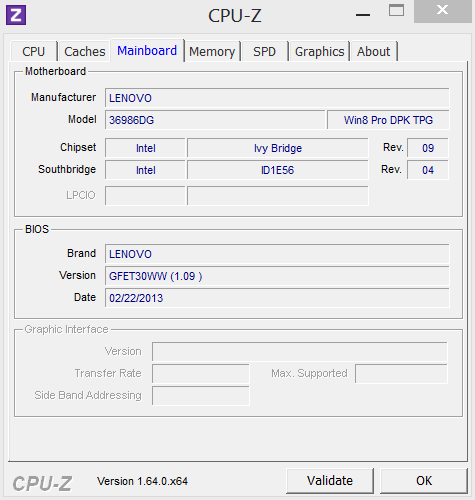 Luckily, Lenovo has decided to use an Ivy Bridge ULV processor instead of their weaker ULV siblings. Our test device, which ships for close to 1700 Euros (~$2218, actually the cheapest variant offered in some countries), comes equipped with a Core i5-3317U clocked at 1.7 to 2.6 GHz with 4 GB of RAM and a 180 GB SSD. A special highlight is the fast 3G radio (there is an even faster LTE version available in the USA). 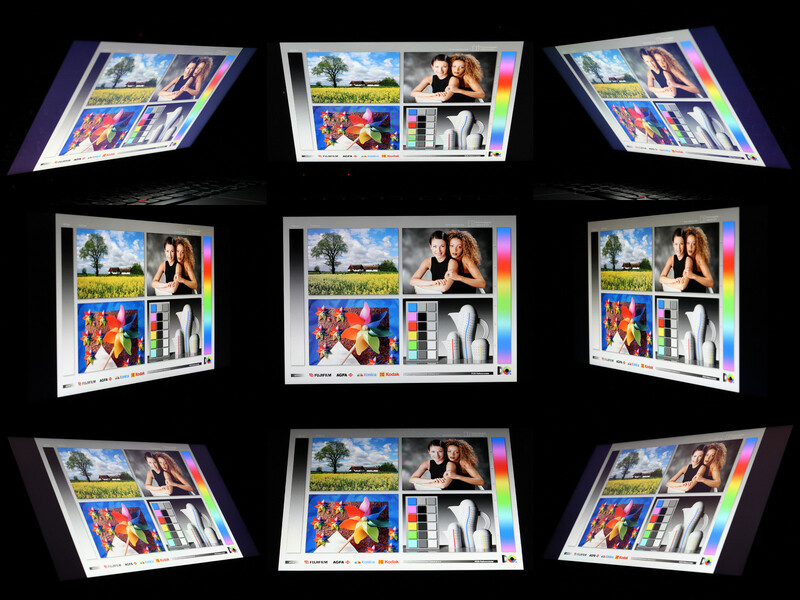 All variants ship with the same screen: An 11.6-inch Full HD multitouch display. 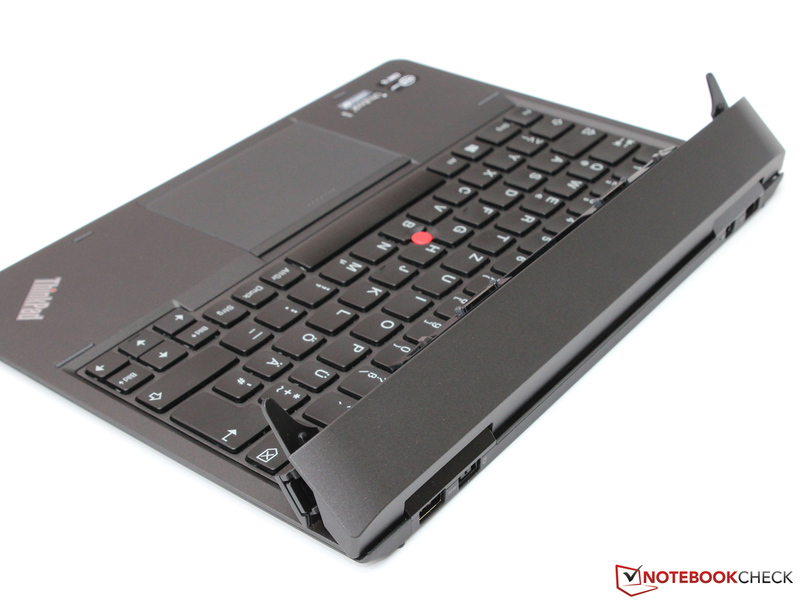 In our review article, we let the ThinkPad Helix compete against other Lenovo devices such as the X230T, and also against business convertibles made by other manufacturers. 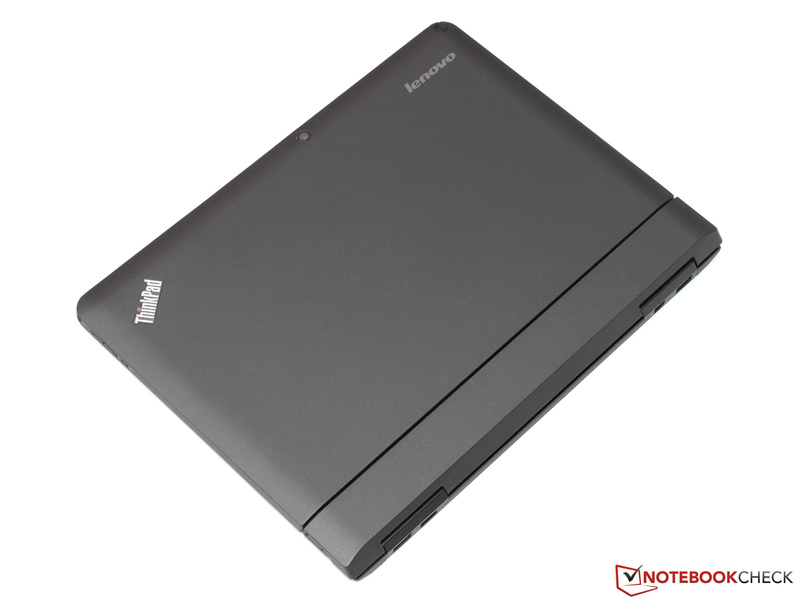 Fortunately, there is no lack of high-quality competitors like the Fujitsu Lifebook T902. 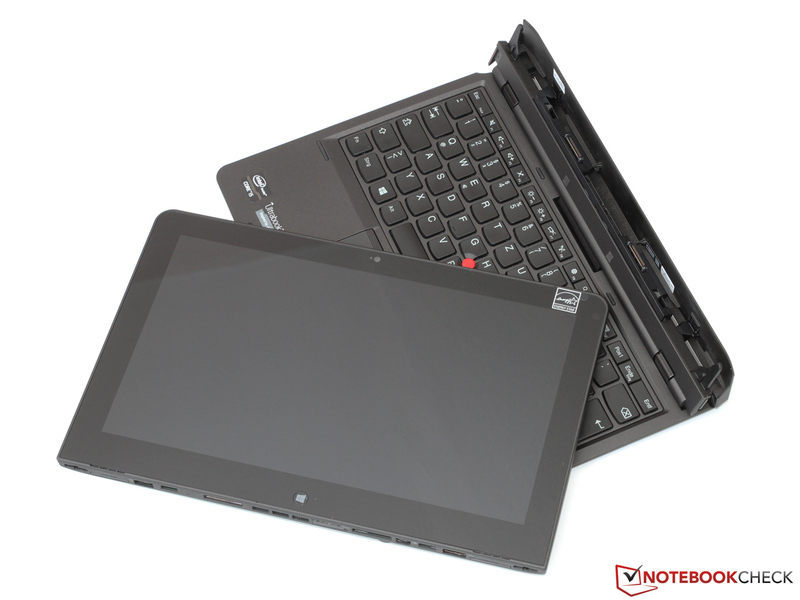 As revolutionary as this construction may seem - many of the traditional ThinkPad design virtues have carried over to Lenovo's most recent convertible. Sure, rounded corners and a slim chassis may render the Helix unfamiliarly thin, but the well-known subtle, if somewhat outmoded visual design language and its grayish-blackish color scheme remain unmistakable. All of this should not be able to conceal that this is actually a high-end device. Thanks to a modern magnesium-PC/ABS composite, the tablet only weighs 835 grams (exactly the same applies to the keyboard dock as well, bringing the total weight to 1.67 kilograms). For reference: The much slower HP Envy X2 weighs more than 700 grams, the smaller (10.6-inches instead of 11.6-inches) Microsoft Surface Pro even more than 900 grams (both measured without their respective "docking stations"). 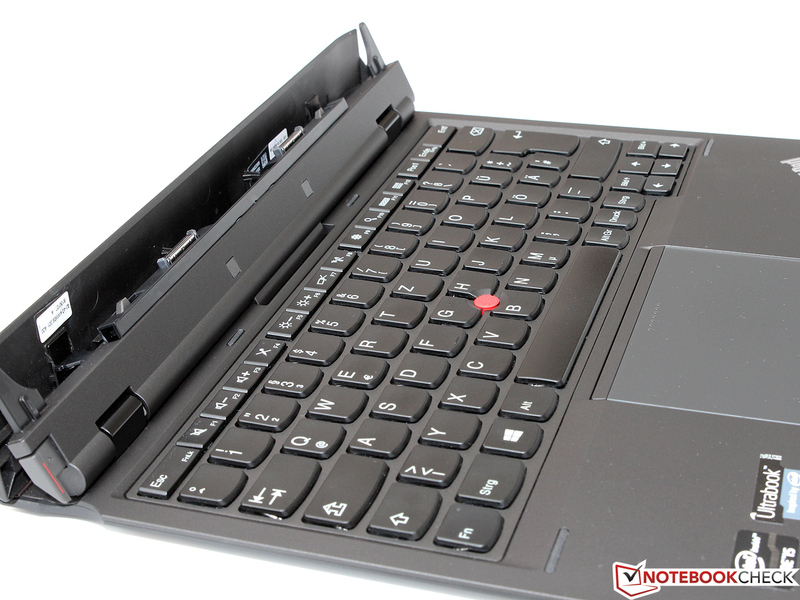 The Helix is even lighter than Lenovo's own X230T which measures 1.8 kilograms, aiming at a rather similar segment of the market. 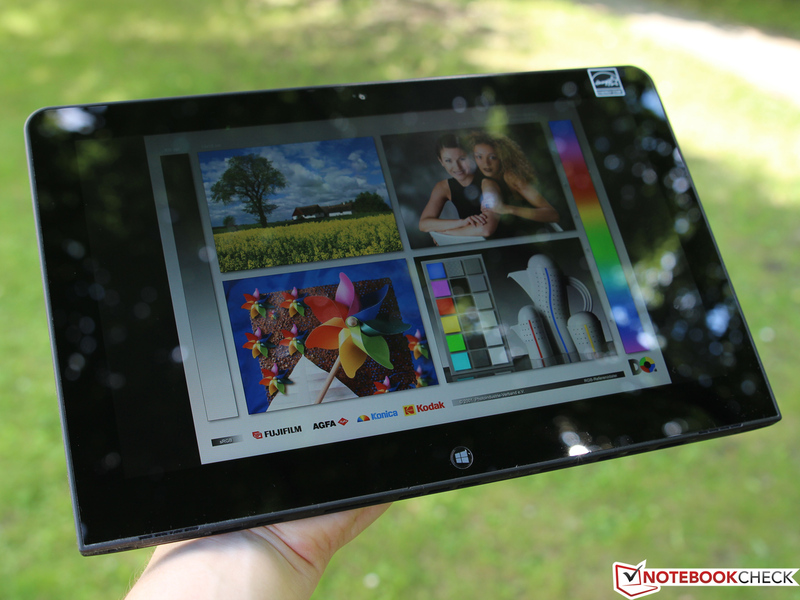 Even for prolonged periods of time, Lenovo's tablet can be held with just one hand. 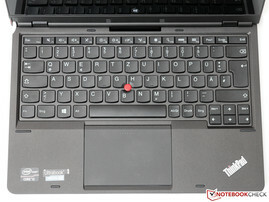 The connection between the display and the dock has been the subject to much fine-tuning, as the quality-spoilt business customers of the ThinkPad series would expect, trying to find the sweet spot between maximum flexibility, great ergonomics and stability, a ThinkPad strength. Luckily, the manufacturer has managed to solve this problem rather well: The tablet can easily be removed with a simple push on a lever and be re-attached without hassle as well - even reversed by 180 degrees, if this is required. Unfortunately, the display wobbles slightly in its holder, but not enough to become noticeable during actual usage. Apart from this one minor quirk, everything about the construction seems well-designed and extremely sturdy. The same quality standards do not seem to apply to the keyboard dock. While generally well-built, it could be more torsion-resistant. Applying pressure to the case leads to visible deformations at certain locations. 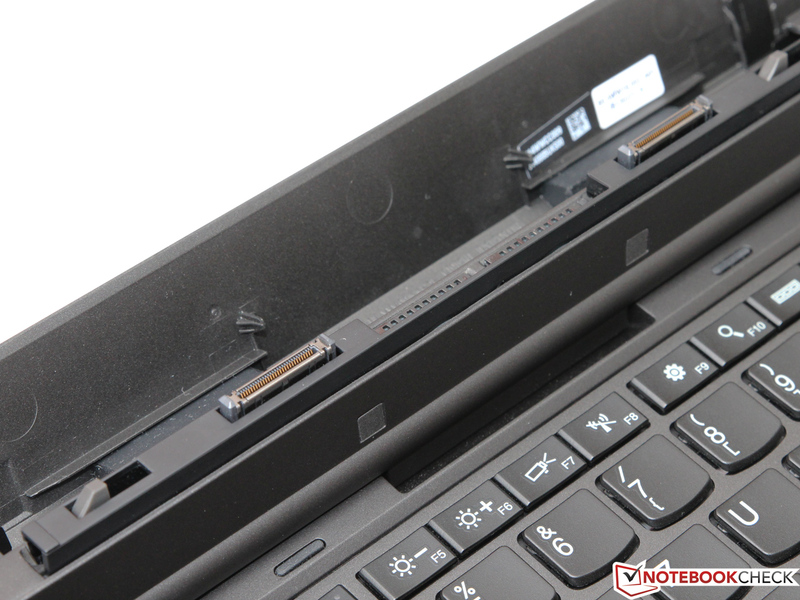 Obviously, Lenovo has tried to find some kind of compromise between stability and weight. 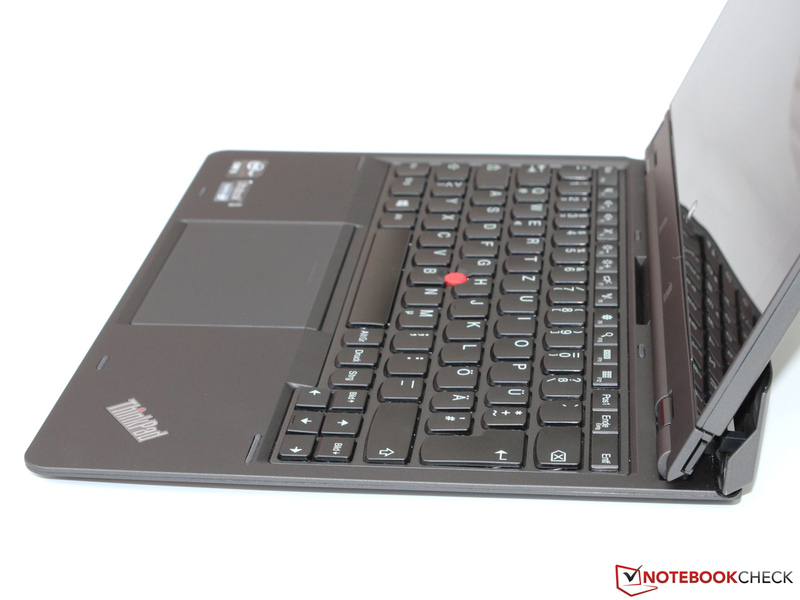 Still, the ThinkPad Helix is more than decent in terms of its overall build quality. While the ThinkPad Helix is in no danger of impressing us with its variety of ports, all essentials are covered. 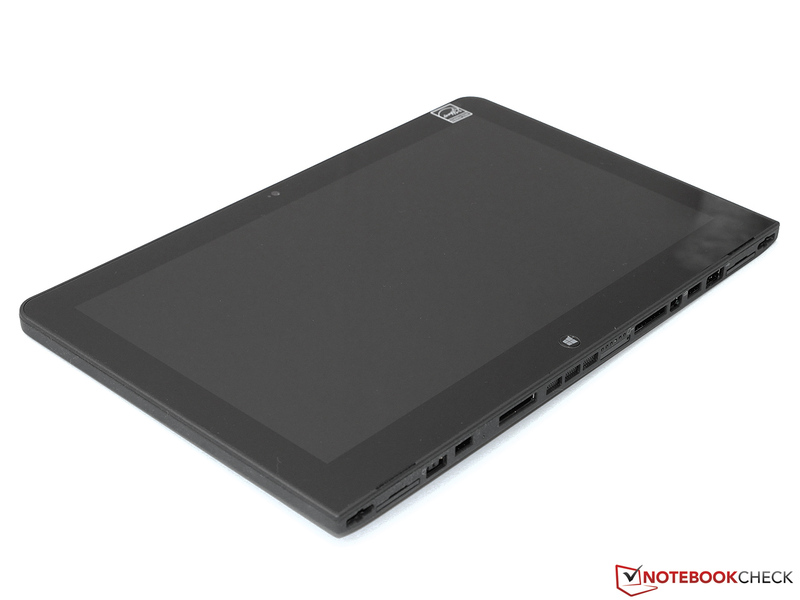 The tablet part comes equipped with a lateral Line In/Out port, a USB 2.0 port and a Mini DisplayPort which can be used as a VGA port as well thanks to the included adapter. All other ports are hidden at the rear side of the keyboard dock. While all of the ports at the bottom of the tablet are lost in the process, two USB 3.0 ports and another Mini Display Port have become available. 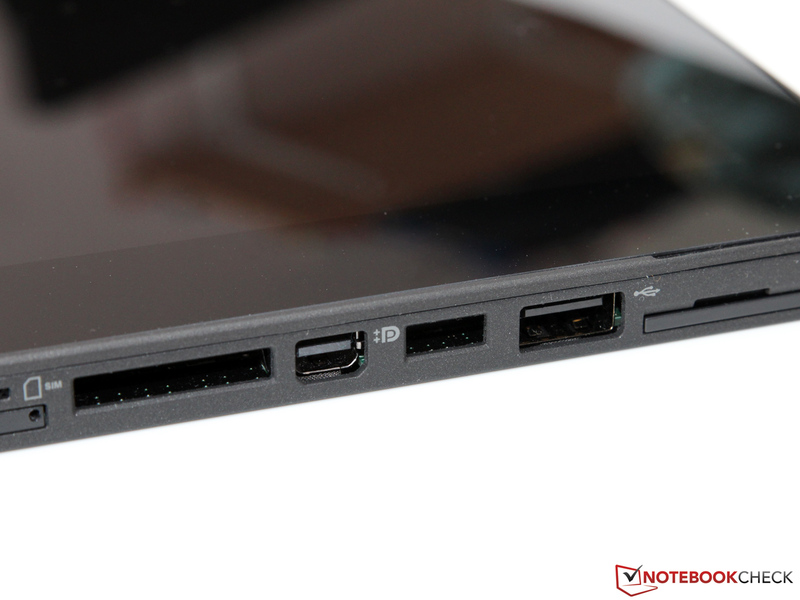 Another nice addition: The ThinkPad Helix ships with a USB-to-Ethernet adapter, replacing the missing Ethernet port. Intel's Centrino Advanced-N 6205S Wi-Fi module is one of the high-end radios available right now. 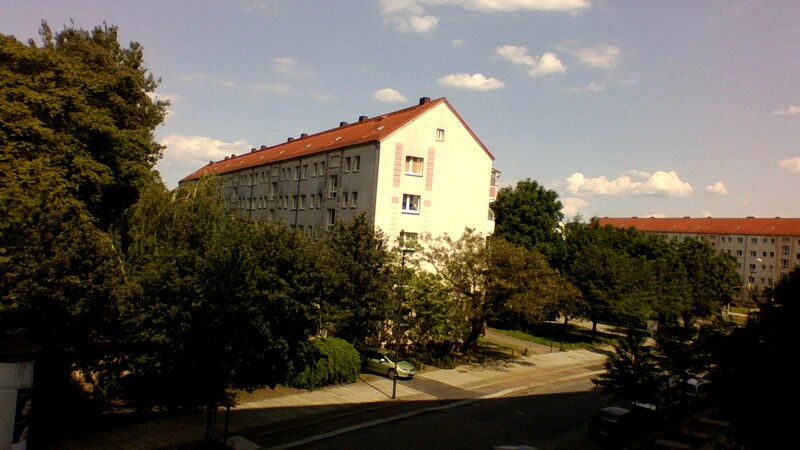 Thanks to two antennas and dual-stream technology (2x2), gross data transfer rates of up to 300 Mbit/s can be realized. In addition, there is dual-band support for both 2.4 GHz and 5 GHz networks (802.11a/b/g/n). The latter is often a good choice in heavily populated inner city areas where unused bandwidth is scarce. During our tests, the ThinkPad was very well capable of establishing a stable connection with above-average speeds, even when far away from the router. Then again, this is exactly the kind of behavior we expect such an expensive device to show. Other than Wi-Fi, the Helix is also capable of supporting Bluetooth 4.0 as well as NFC (near field communication) for cashless purchases. Some variants also sport Ericsson's WWAN module C5621gw which - while unfortunately not offering LTE - comes with UMTS/HSPA+ (up to 21 / 5.76 Mbit/s download and upload speeds) as well as a GPS module. Like many other tablets, the ThinkPad Helix ships with two cameras. While the front camera with its 2.0 megapixels offers quality levels on par with most webcams, the 5.0 megapixels of the rear camera is sufficient to yield some satisfying results. Although many other consumer tablets and smartphones offer somewhat better image sensors, the Helix's image quality should be enough for some snapshots and communication purposes. The same holds true for the integrated microphone: Speech quality is fine, removing the need for an additional headset. Crucially, every business laptop has to ship with a number of security features. These are more concerned with the data within the device than with the convertible itself. The Helix offers BIOS encryption, Kensington Lock and a TPM (TCG 1.2). It is Computrace-ready and capable of handling Intel's Anti-Theft technology - only a convenient fingerprint sensor is missing. Detailed information about the different security features can be found in our FAQ article about security solutions. Next to the VGA and Ethernet adapters we mentioned above, the ThinkPad Helix also comes equipped with a Wacom digitizer (about which we have more to say later). There are no other surprises, the package only contains a 45 watts power adapter next to the tablet and the keyboard dock. Windows 8 Pro (64-bit) is preinstalled - luckily, without much bloatware. Lenovo Tools (including the well-known Solution Center) are supposed to support the user with maintenance or backup tasks. There is also some anti-virus software, Norton Internet Security. Unfortunately, this is only a trial version. 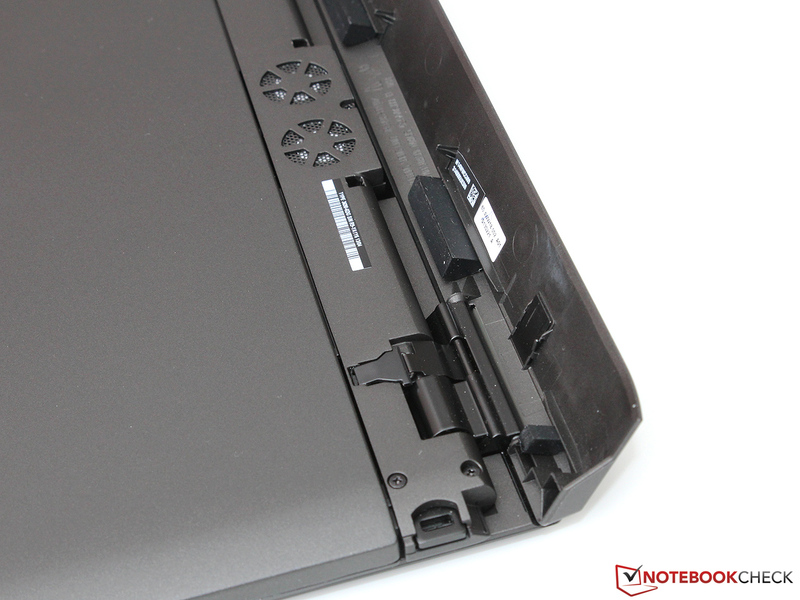 As is the case with every other ThinkPad, the Helix ships with a detailed hardware maintenance manual. Still, the device is hardly modifiable even for adept users. In order to access its internal components, the display has to be forced open at its verges - which leads to an extremely high risk of damaging the device. Accordingly, there almost no CRU's (customer replaceable units). Any hardware malfunction has to be solved by the manufacturer, which is also the only place to go when upgrades are supposed to be made. 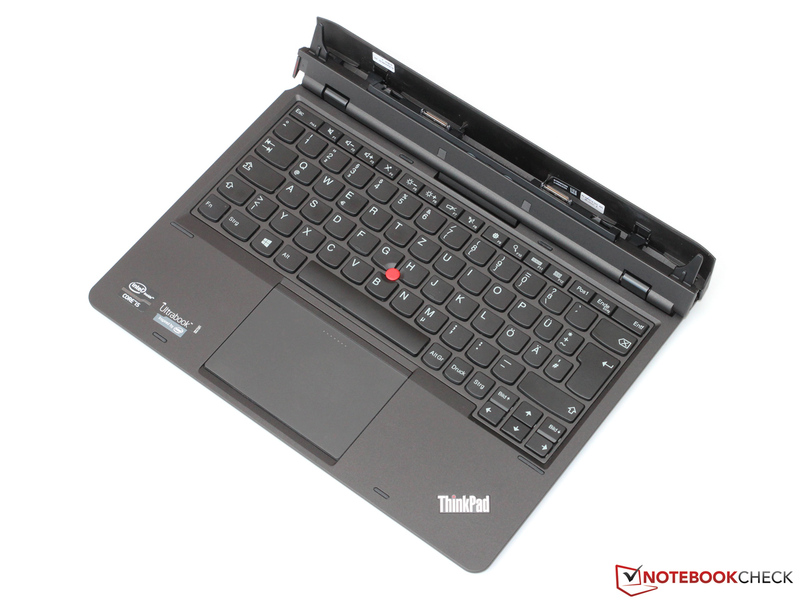 Great: Lenovo offers a full 36 months of warranty, as always with its ThinkPad products. 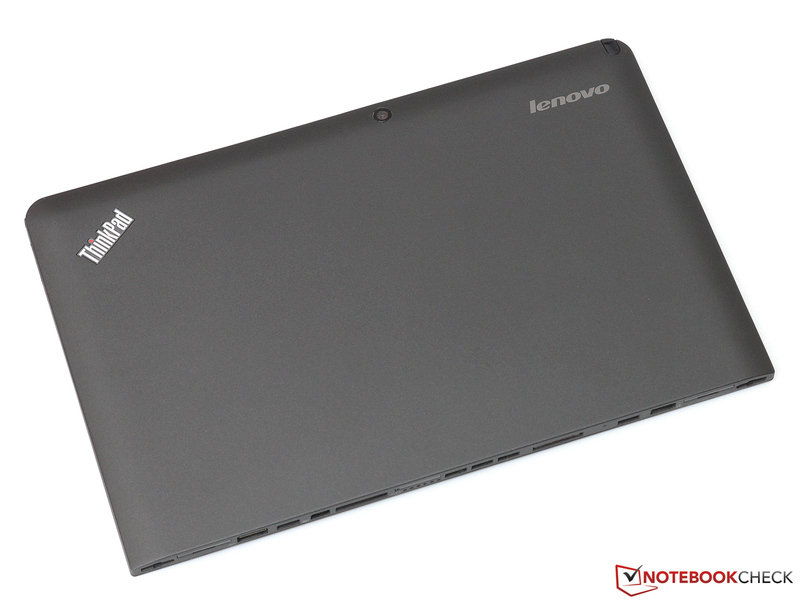 Warranty extensions and other packages can be bought in Lenovo's online shop, e.g. an extension to 48 months for around 71 Euros (~$92). For a fee, additional features such as "keep your drive" or "priority support" can be purchased. 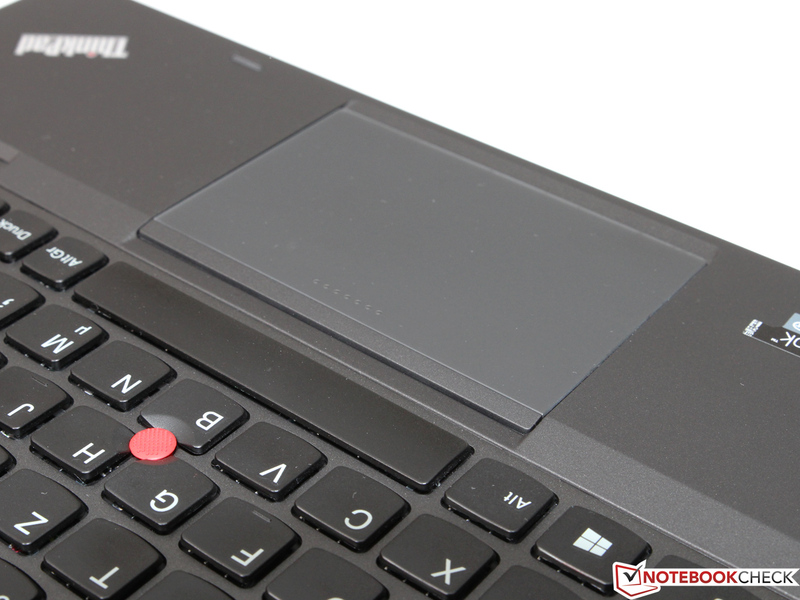 Lenovo's recently-introduced "precision keyboard" (which is now used in all Lenovo ThinkPads) has found its way into the Helix as well. Despite of the initial controversy surrounding the unconventional chiclet-style design, by now we have grown quite fond of it. The ergonomically shaped keys (measuring 15 x 15 millimeters) lead to a high hit ratio while offering an excellent typing experience. The combination of long key travel and a well-defined pressure point lead to this being one of the best keyboards currently on the market. Every single key stroke offers vivid mechanical feedback making this feel like a premium product. Plus, the ThinkPad keyboard is splash proof. At the same time, the keyboard remains rather silent, remaining perfectly usable even in quieter surroundings. The only problem lies with its lack of backlighting options - other than that, this remains a top-notch keyboard. 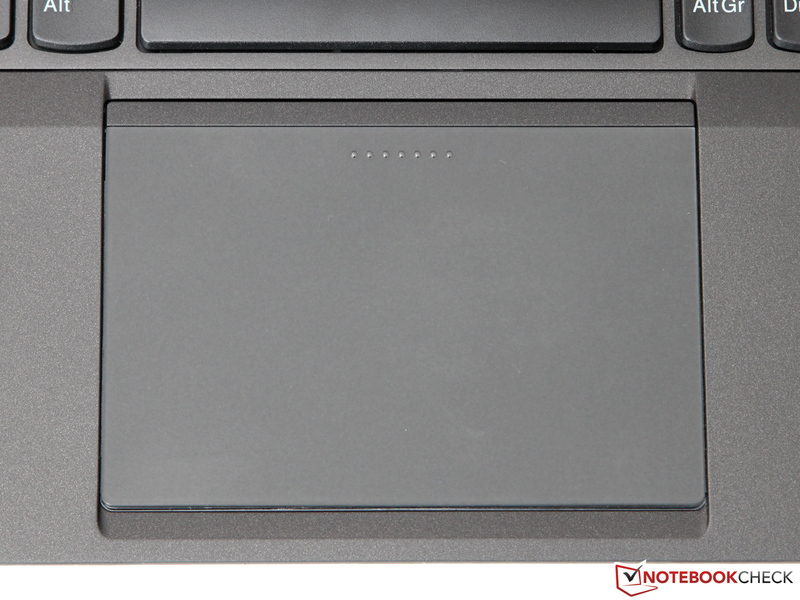 Unlike the keyboard, the touchpad is a completely new addition. Despite of the compact chassis, it measures a surprisingly large 10 x 6.5 centimeters, offering more touchpad real estate than some much larger laptops. Unlike earlier models, the surface is perfectly smooth. While this may not be to the liking of every user, the touchpad was extremely precise, never misinterpreting our inputs, turning the touchpad into a viable alternative to the trackpoint. 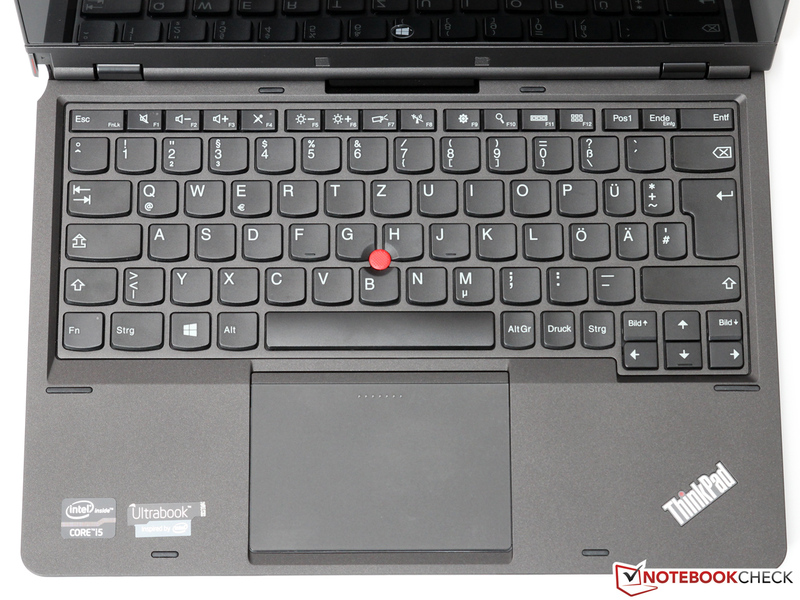 Of course, Lenovo has not forgotten about all the fans of the little red mouse replacement, placing the famous knob between the G, H and B keys as usual. While it works as well as it ever did, we missed the dedicated mouse buttons with which earlier ThinkPads used to ship. 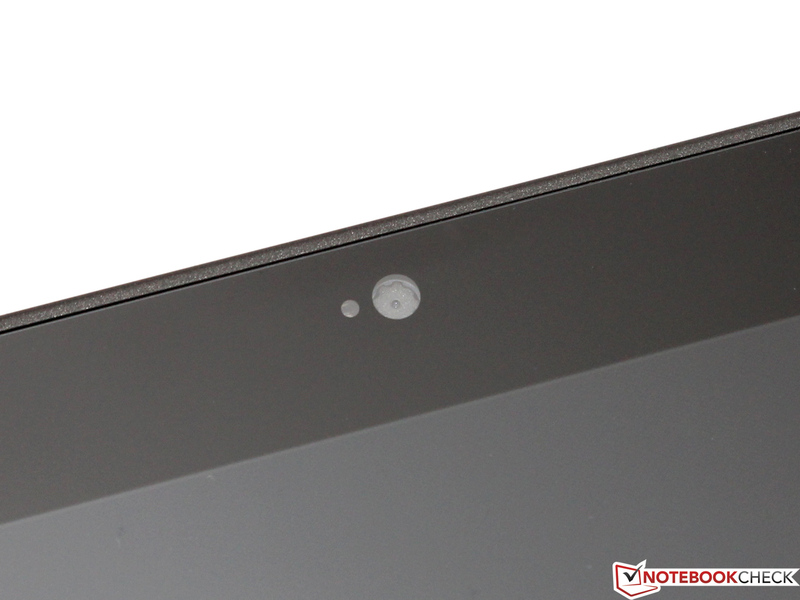 It takes some time to get used to utilizing the upper part of the touchpad itself. In the end, however, this works just as well. Strokes come with a firm feel (although it could be even firmer), being accompanied by a low-keyed clicking noise. Like most recent tablets, the Helix sports a capacitive multitouch screen which is capable of supporting up to ten fingers simultaneously. 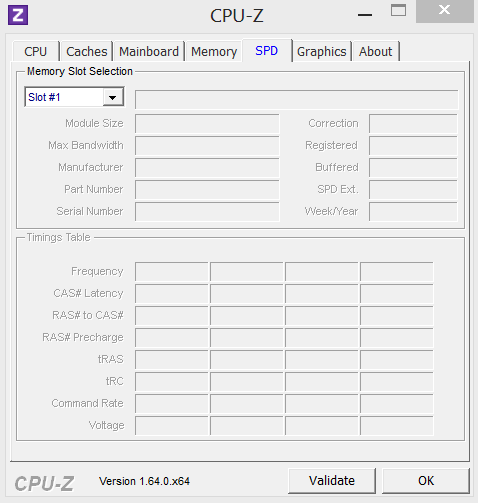 In combination with the new UI of Windows 8, this leads to an intuitive and lag-free way of using the computer - but the same holds true for cheaper rivals as well. 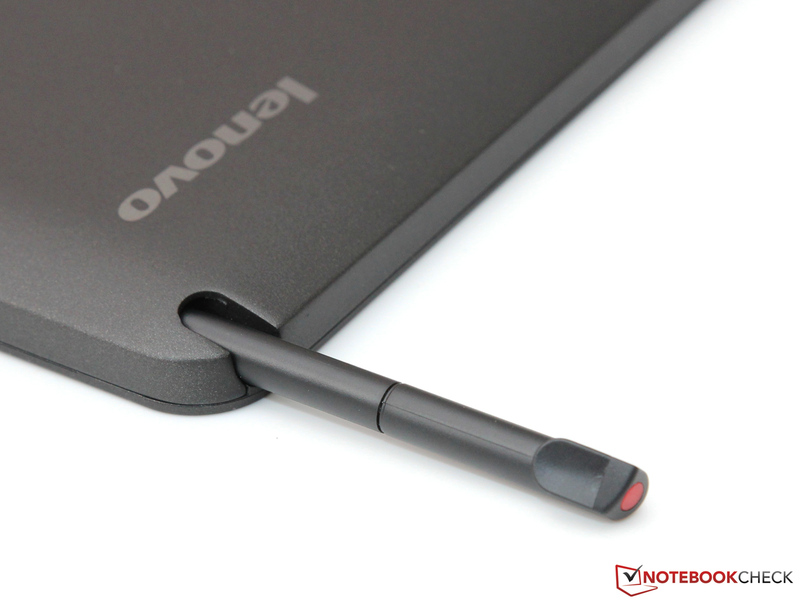 The real killer feature of the ThinkPad's touchscreen is the built-in Wacom digitizer. 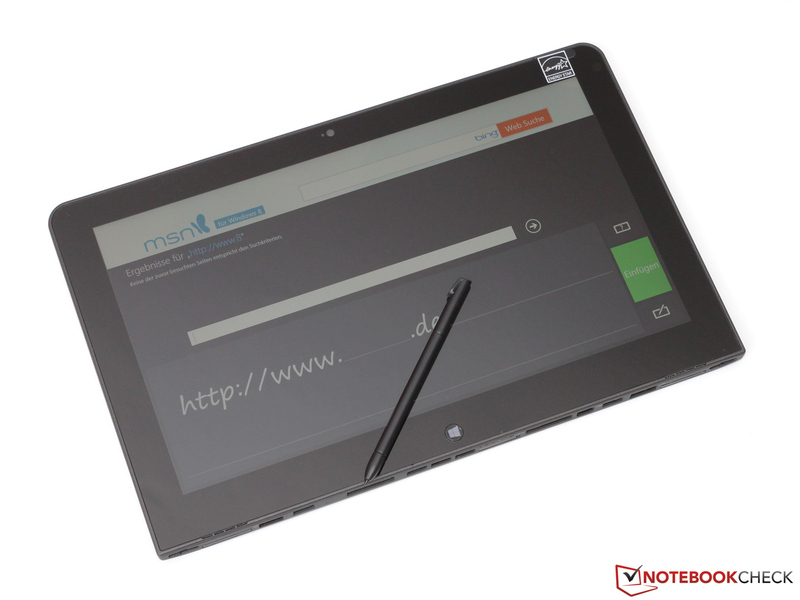 The digitizer pen can be stored away inside the tablet, being used whenever handwriting is the way to go or small buttons are to be hit. According to Lenovo, up to 256 levels of pressure can be recognized, enabling the Helix to be used for a number of other application purposes, e.g. for graphics designers. In addition, thoughtful details such as the hardware volume rocker or the optional screen rotation lock help the Helix in leaving a positive impression. Note: Variants shipping without a stylus do not come equipped with a digitizer layer, thus denying the possibility of retrofitting this feature. The race for ever higher DPI values has finally reached the laptop segment as well, leading to a slow decline of the once overly dominant, coarse WXGA displays, at least for high-cost devices. The 11.6-inch display of the ThinkPad Helix offers a resolution of 1920x1080 pixels, a pixel density of 190 dpi which almost completely masks individual pixels from being discerned with the naked eye. Unfortunately, this also leads to a problem which is not Lenovo's fault: Every button and text field in Windows 8 in desktop mode is rendered correspondingly small. 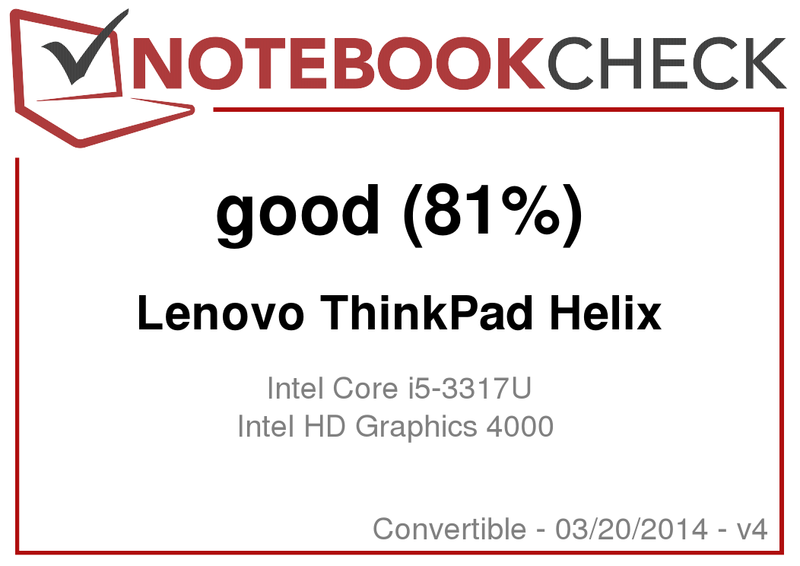 While the ThinkPad Helix does not stay quite true to Lenovo's claim of reaching a brightness of 400 cd/m², 371 cd/m² is still absolutely top-notch. Indoors, brightness can easily be turned down to 50%, which can also be done automatically via the integrated ambient light sensor. The IPS panel (B116HAT03) made by display specialist AUO is way ahead of TN panels in a number of crucial aspects. For starters, black levels are great (0.41 cd/m²), leading to a high contrast ratio of 949:1 as well. From this, movies and games (but also all other applications) profit enormously, yielding more vivid imagery. Those who want to use the Helix for photo processing (despite of its small diagonal) will be glad to hear that it is very well capable of great color fidelity (DeltaE of 3.12). 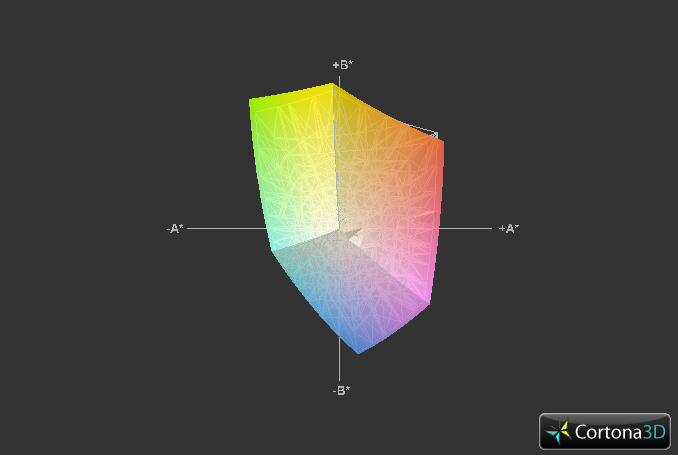 However, color space is much reduced in comparison to Adobe RGB or even sRGB, as is the case for most of its rivals. Professional users will still have to rely on an external monitor. 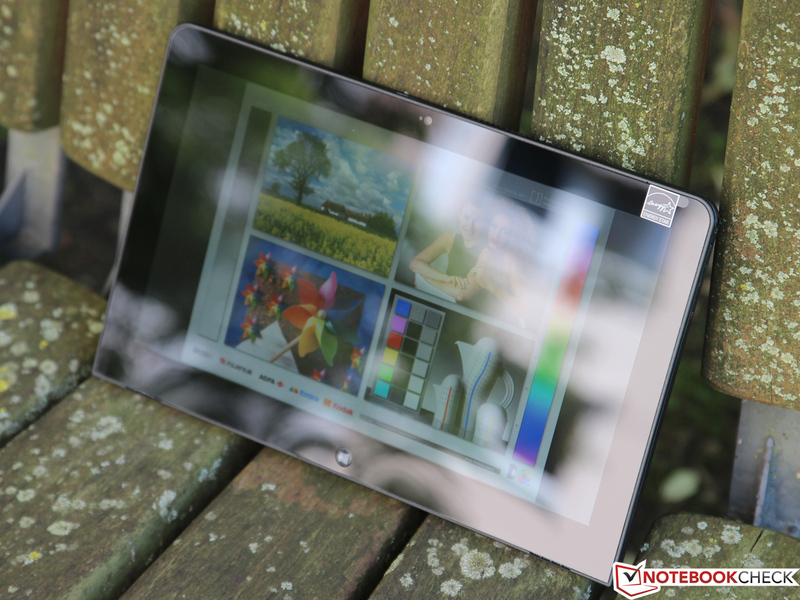 Thanks to its high brightness (which is only available in battery mode when the energy saving mode of the Intel graphics card is deactivated), the Helix is well-suited for outdoor usage, as long as it is not exposed to direct sunlight. Due to its non-matte surface, a workspace in the shade is required to be able to work well with the device, as its scratch-proof, easily cleanable Corning Gorilla Glass display is extremely glossy. Another advantage of high-quality IPS panels next to great image quality: Viewing angles are superb. Even when viewed from very narrow angles, the screen contents remain discernible, showing no signs of color deviations or overly strongly decreasing contrast ratios. This is especially important while using the Helix as a tablet where the user is able to operate the device in every orientation. Even the best TN panels fare far worse in this regard. 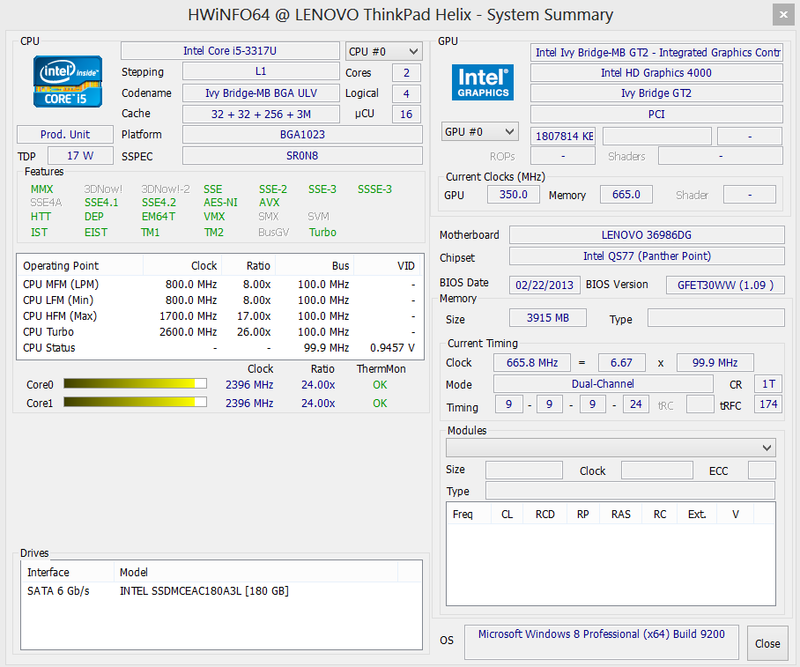 Since Lenovo already revealed the ThinkPad Helix at the CES in Las Vegas at the beginning of the year, it is still based on Intel's Ivy Bridge chip generation instead of Haswell, being equipped with ULV processors ranging from the Core i5-3317U to the high-end Core i7-3667U. 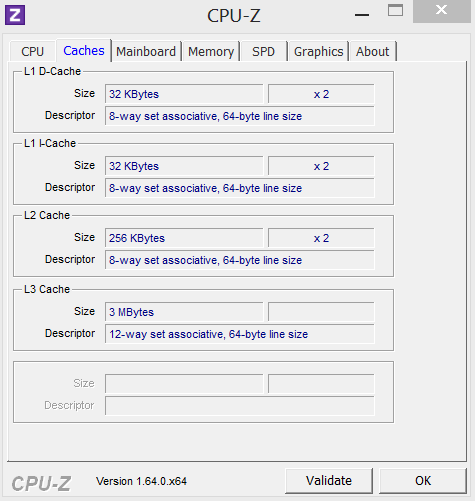 The Core i5-3317U used in our test device sports two CPU cores with a base clock speed of 1.7 GHz which can increase to up to 2.4 GHz (two cores) or 2.6 GHz (one core). In addition, Hyperthreading technology boosts performance in well-parallelized applications, allowing each core to work on up to two threads simultaneously. 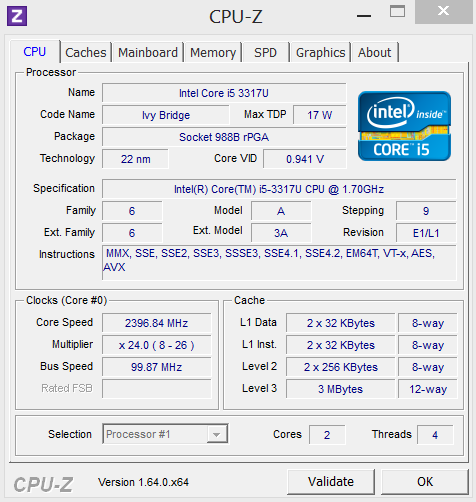 Despite of its more than decent performance, the 22 nm Core i5 chip sports a TDP (thermal design power) of just 17 watts. 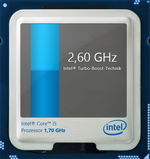 However, the more recent Haswell variants are even less power-hungry, requiring only 15 watts for the entire chipset. Since the Helix is intended as a business device, graphics performance is secondary. The integrated HD Graphics 4000 clocked at 350 to 1050 MHz in our case is more than sufficient for multimedia purposes as well as simple 3D applications. 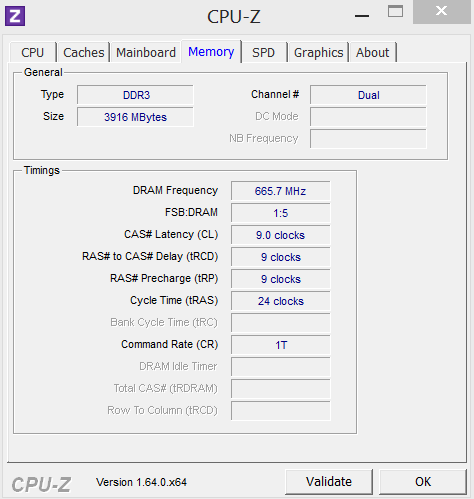 More of an issue (and not really understandable, given the price point of the device) is the low amount of RAM: 4 GB, working at a reduced clock speed of 666 MHz (DDR3L-1333, dual-channel). 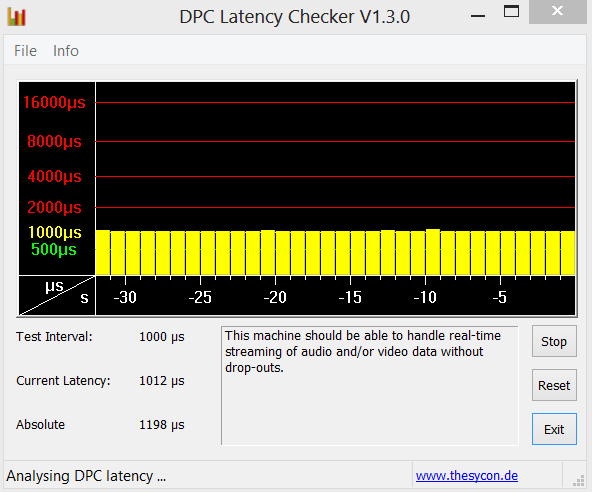 This reduces performance levels especially in graphics-intense usage scenarios, as will be seen in some benchmarks below. The ThinkPad Helix offers 180 GB of SSD storage for applications and user data. Although the Core i5-3317U does not have a reputation of being overly power-hungry, the resulting excess heat will still have caused some problems for Lenovo's engineers. 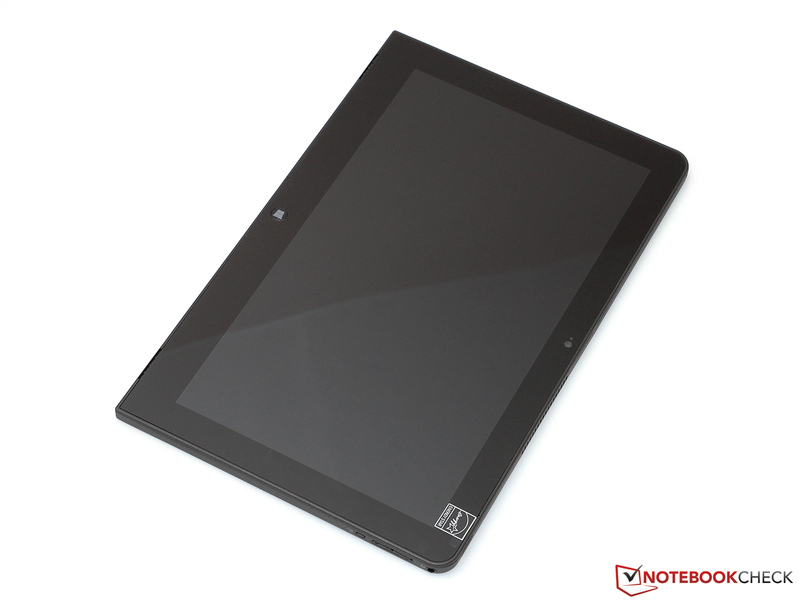 After all, the tablet measures a mere 12 millimeters in thickness, drastically reducing cooling options. Astonishingly, the maximum TurboBoost level is actually reached (at least when the keyboard dock is used), resulting in an excellent Cinebench R11.5 (64-bit) multi-thread score of 2.38, even while running on battery. How did Lenovo manage to accomplish such a feat? The underlying idea is simple, but effective: By installing two small fans in the keyboard docks, the fans in the tablet can be supported whenever this becomes necessary. Without these extra fans, the Helix's Turbo clock speed is reduced to 1.9 GHz (under full load) or 2.4 GHz (just one core is strained), decreasing performance levels by 10 to 25%. Since more demanding applications will probably almost always be run in notebook mode, this shouldn't put too much of a constraint on its daily usability. Note: Shortly before the conclusion of our review, we stumbled upon a bug resulting in a downclocking of the CPU clock speed to 800 MHz (its idle clock speed) after plugging the tablet into its keyboard dock and removing it again. It takes a reboot to be able to access its full prowess again. This might be due to a BIOS issue. We will update this article once a solution to this problem is found. 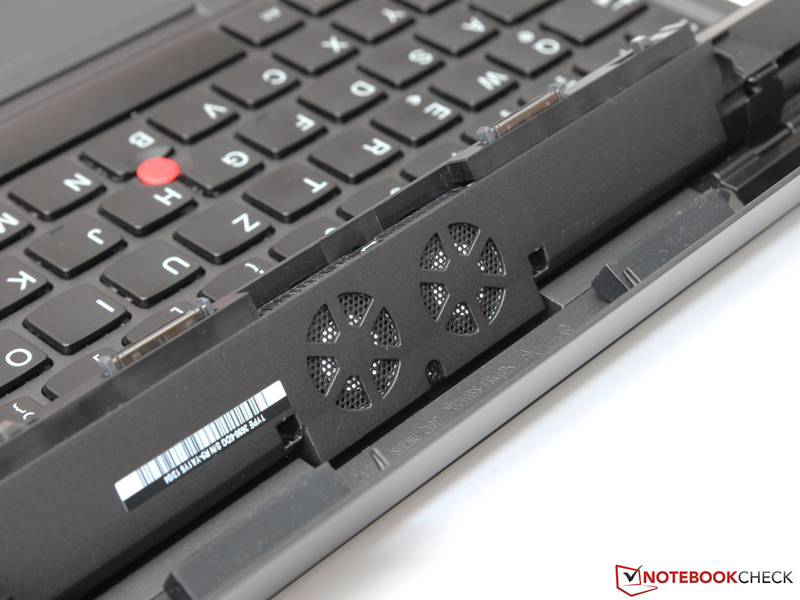 Due to the Helix's slim profile, the only SSDs used in Lenovo's newest ThinkPad are those of the mSATA variety, offering capacities ranging from 128 GB to 256 GB. Our test device comes equipped with a 180 GB Intel SSD 525 (code name Lincoln Crest, SSDMCEAC180A3L), which was revealed a few months ago. 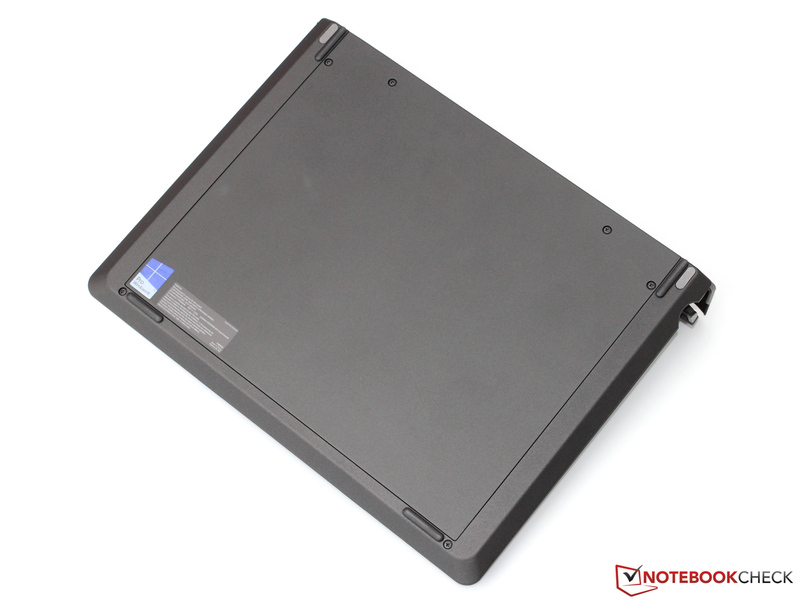 The SSD-525 series is closely related to the older SSD 520 2.5-inch variant. Both use the Sandforce Controller SF-2281 with Intel's own firmware which is combined with 25 nm flash memory modules in an MLC architecture. 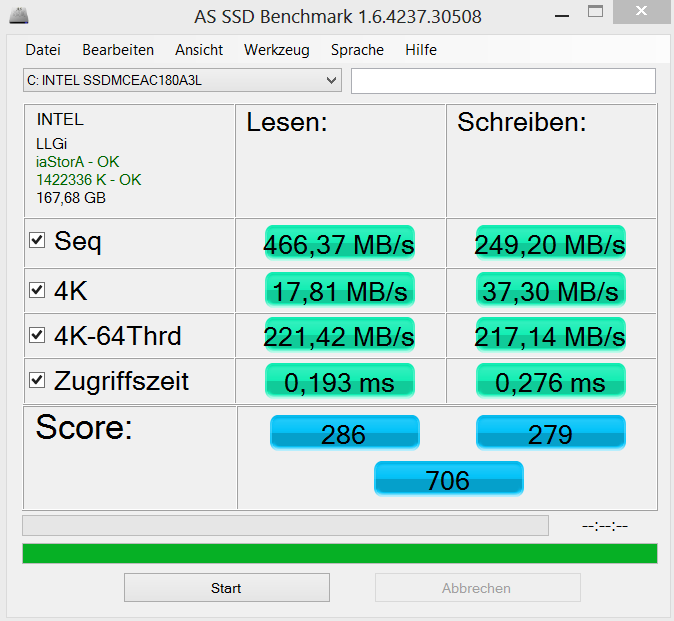 The SSD 525 is almost as fast as its non-mSATA sibling, yielding some of the best results of all SSDs. Sequential data transfer rates of up to 466 MB/s (reading) are superb, as is its speed when working with smaller files. On top of that, Intel's SSDs have a reputation of being very reliable, which fits the professional focus of the ThinkPad Helix. The fast SSD and the rather powerful CPU turn the Helix into a well-rounded performer, yielding a score of 11992 points in PCMark Vantage and 4669 points in PCMark 7 - coming close to its rivals. Still, these are synthetic benchmarks, so they should not be over-emphasized. But the convertible also offers convincing performance levels during real-life tasks. Windows 8 boots in just 10 seconds, being operational without further delay. Short loading times and more than enough power for office and most other applications would turn the ThinkPad into a full-fledged work-horse - if it weren't for the meager 4 GB of non-expandable main memory. This is neither enough for excessive multitasking nor for some more demanding applications, making it less future-proof than it could be. This cost-cutting measure is incomprehensible given the price point of almost 1700 Euros (~$2218). 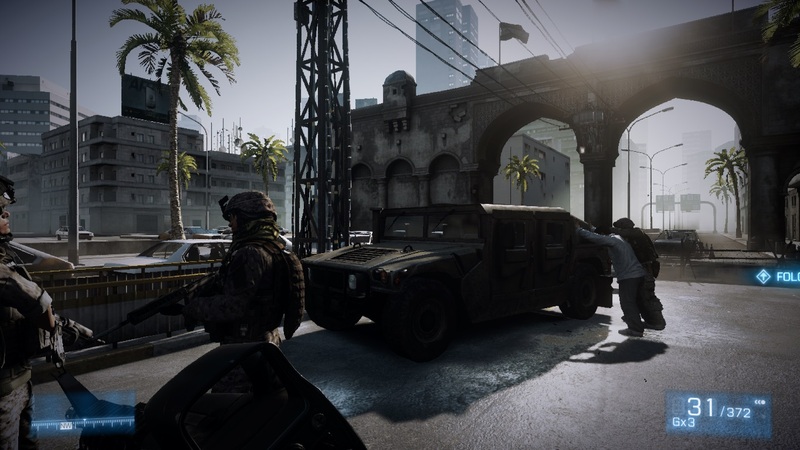 Even though the graphics performance of the integrated HD Graphics 4000 may only be on par with older low-end graphics cards, it should be enough for most prospective buyers. Videos are rendered smoothly or transcoded quickly via Quick Sync. 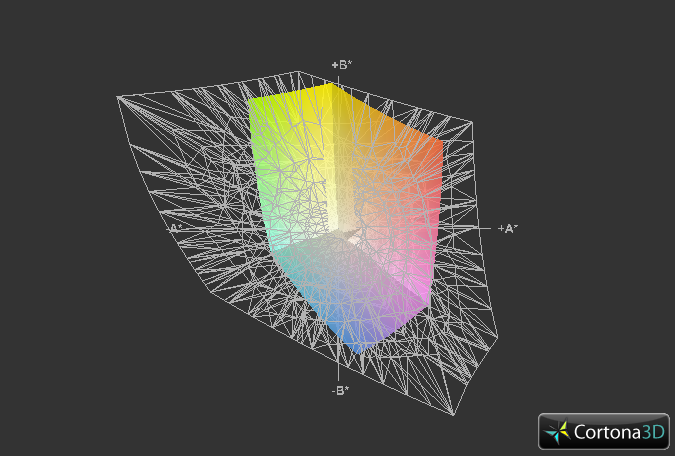 Many 3D applications work well too. Still, the device is not made for more demanding CAD software or modern 3D games, yielding a 3DMark 11 score of just 604 points. A noticeable boost in performance might only be realized with an upgrade to Haswell, which - if at all - will take at least a few months to arrive. Those who still want to use the Helix as a gaming device will often have to adjust graphics quality to the lowest possible setting, and, at least in newer games, reduce the display resolution down to 1024x768 pixels, if at least some degree of smoothness is desired. This shouldn't be an issue for Lenovo's target audience though, as gamers will probably choose a larger laptop or ultrabook with a dedicated graphics card. 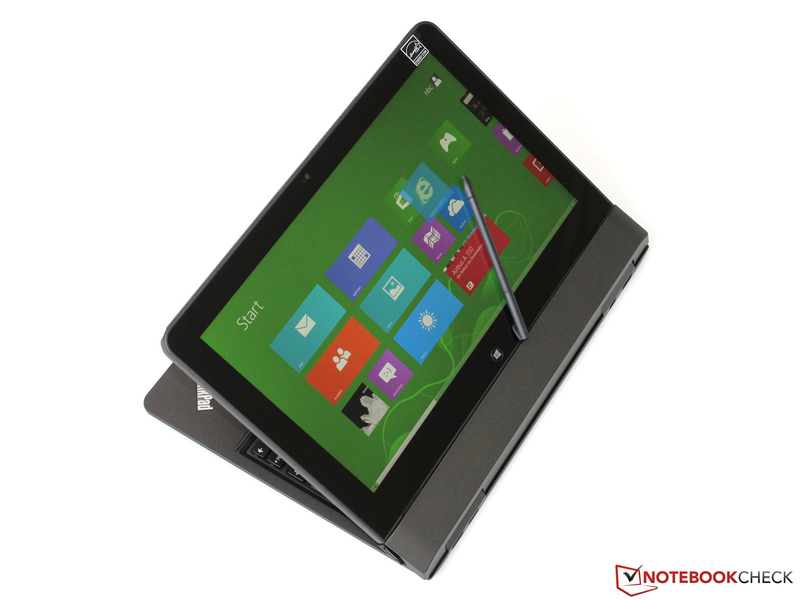 Unlike most ARM-based or Intel Atom-based tablets, the much more powerful ThinkPad Helix is not only cooled passively. 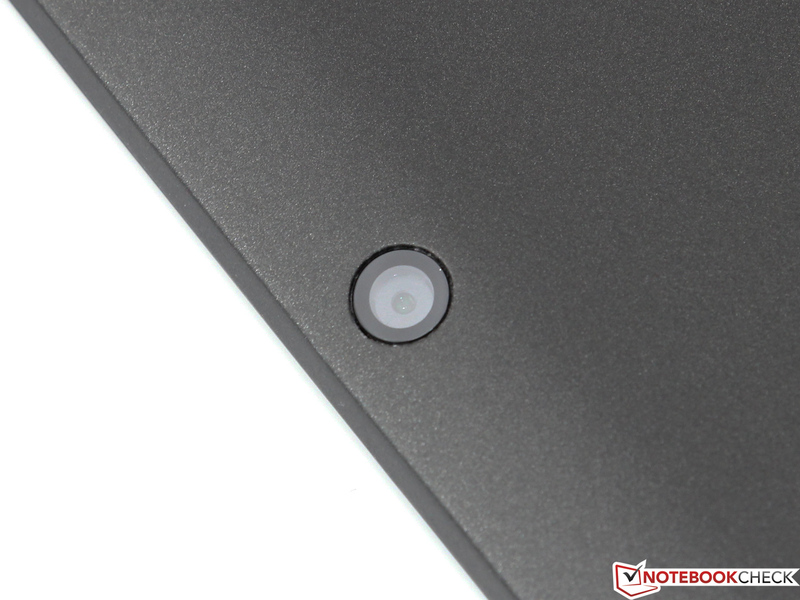 Instead, there are several fans both in the tablet itself and in the keyboard dock. They are barely noticeable as long as the device is idle or as long as some light office work is done, often not even spinning at all. But even when they do, the resulting noise levels of 29.6 to 30.4 dB(A) can almost not be heard at all. Not much changes under full load: Even during our stress tests, the Helix remains extremely quiet (up to 32.7 dB(A)). 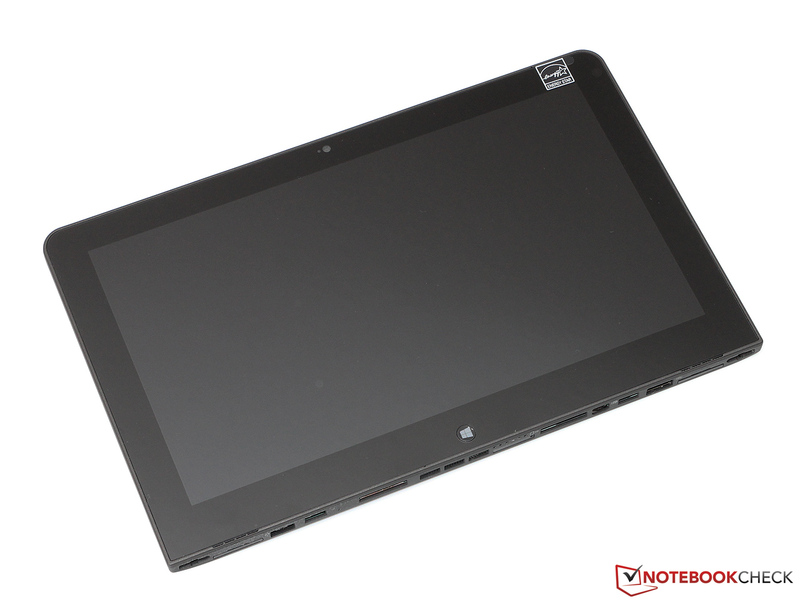 Far thicker convertibles such as the ThinkPad X230T or the Fujitsu Lifebook T902 cannot compete with that. Unfortunately, the low noise emissions correlate with rather high chassis temperatures. Even while the tablet is idle, we measure temperatures of much more than 30 °C, especially on the right hand side. It gets far worse, though: Under full load, more than 65 °C is reached - such a high temperature has rarely been recorded in one of our reviews, even with power-hungry high-end devices. Even when the most notorious hot spots are excluded, the back of the device gets 50 °C warm - on average. Those who don't want to risk getting burned will probably prefer to lie the tablet down at this point. Our results will have to be put into perspective though. In most usage scenarios which lead to these temperatures, the tablet will probably be used with its keyboard dock, thus sparing the user from coming into contact with the (rear of the) device. The keyboard dock itself remains absolutely cool at all times. Typical tablet usage (browsing, HD videos, etc...) is far less taxing, resulting in a tolerably warm device. Surprisingly, the innards never get critically hot. E.g. 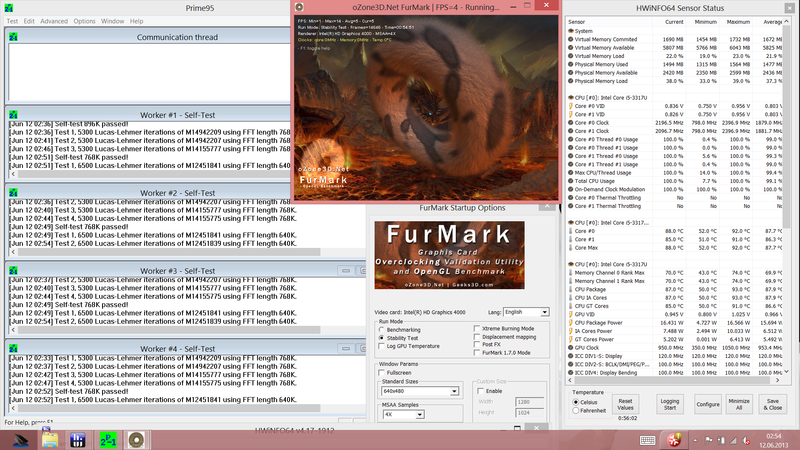 the Core i5-3317U plateaus at around 90 °C after one hour of our combined Prime95 and FurMark stress test, remaining at 2.1 to 2.2 GHz. 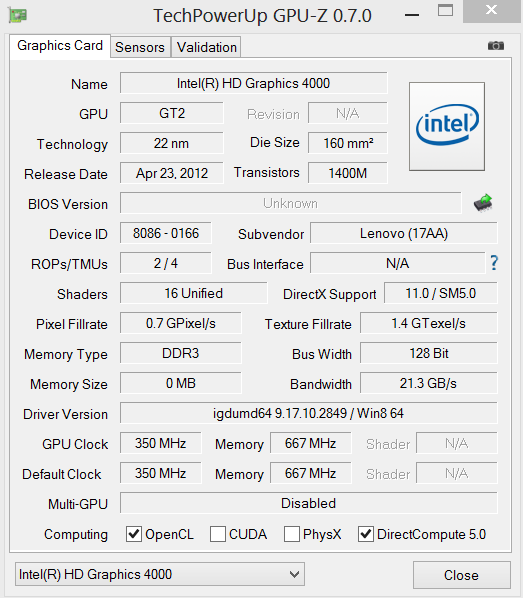 The GPU can use its Turbo as well, reaching almost 1000 MHz. Thus, even during the summer, no throttling is likely to occur. (-) The average temperature for the upper side under maximal load is 44.7 °C / 112 F, compared to the average of 30.3 °C / 87 F for the devices in the class Convertible. 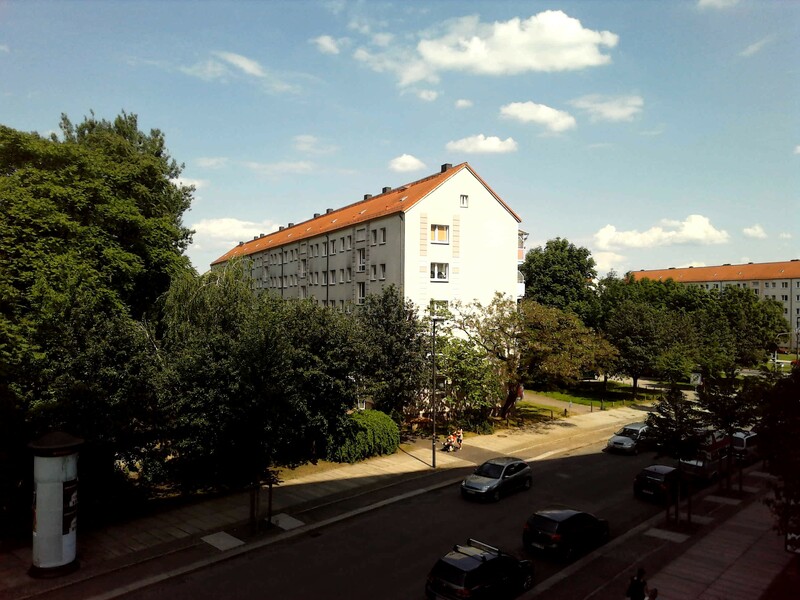 (-) The maximum temperature on the upper side is 55.7 °C / 132 F, compared to the average of 35.4 °C / 96 F, ranging from 21.8 to 55.7 °C for the class Convertible. (±) In idle usage, the average temperature for the upper side is 32 °C / 90 F, compared to the device average of 30.3 °C / 87 F.
(-) The average temperature of the palmrest area of similar devices was 29 °C / 84.2 F (-19.2 °C / -34.6 F). 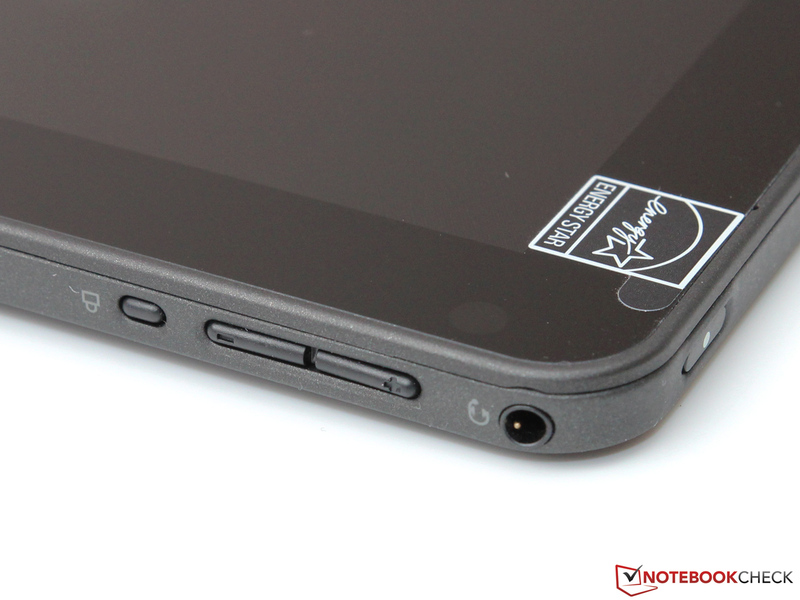 The two small stereo speakers are located at the lower edge of the tablet. Unfortunately, their sound quality was not great. Highs were clanky and over-emphasized while mids and lows were almost non-existent. In addition, the weak maximum volume will hardly be able to drown out any normal conversation, degrading the sound system to an emergency backup for simple office usage. For multimedia applications, external speaker systems (which can be plugged in via the Line In/Out port or, e.g. via HDMI adapters, the Mini DisplayPort) or headphones should be used. 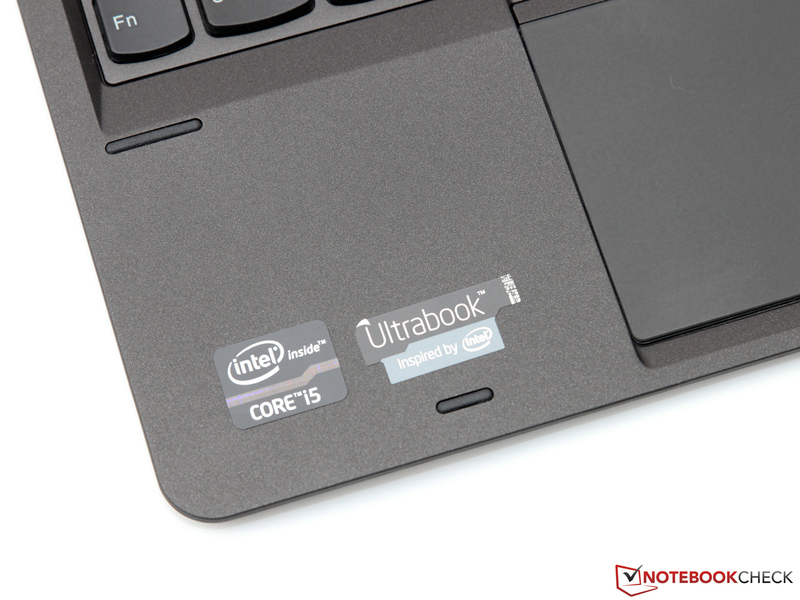 Thanks to its economical ULV hardware, our test device only requires 7.9 to 11.5 watts while idle - more than what most ultrabooks need, but still acceptable given all of its features as well as the Helix's bright IPS display. Under full load, the ThinkPad is commendable as well, requiring 29.2 to 34.6 watts, which is even a bit less than what the Microsoft Surface Pro swallows. Thus, the 45 watts power adapter should be more than adequate in any situation. "Thinking big", the Helix comes with not one but two batteries, offering an overall capacity of 70 Wh. 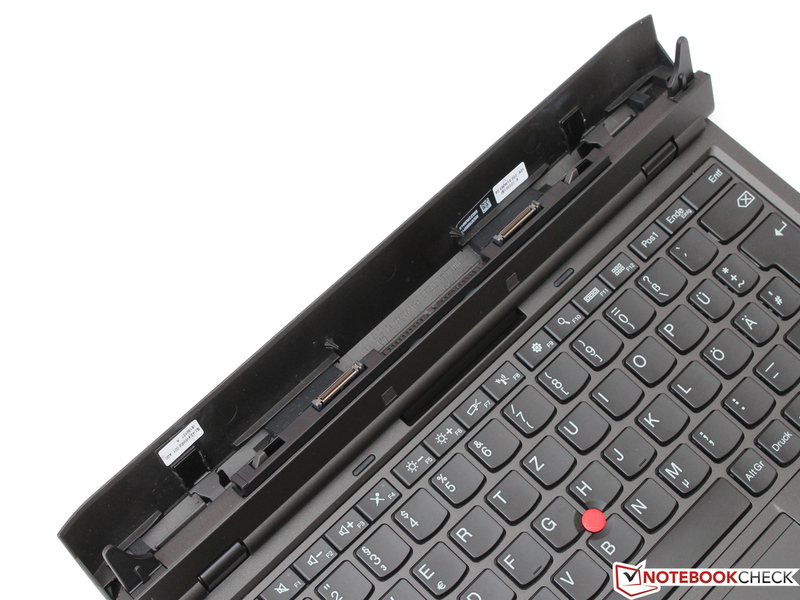 A 3-cell battery built into the tablet comes with 42 Wh while another 28 Wh battery is installed within the keyboard dock. 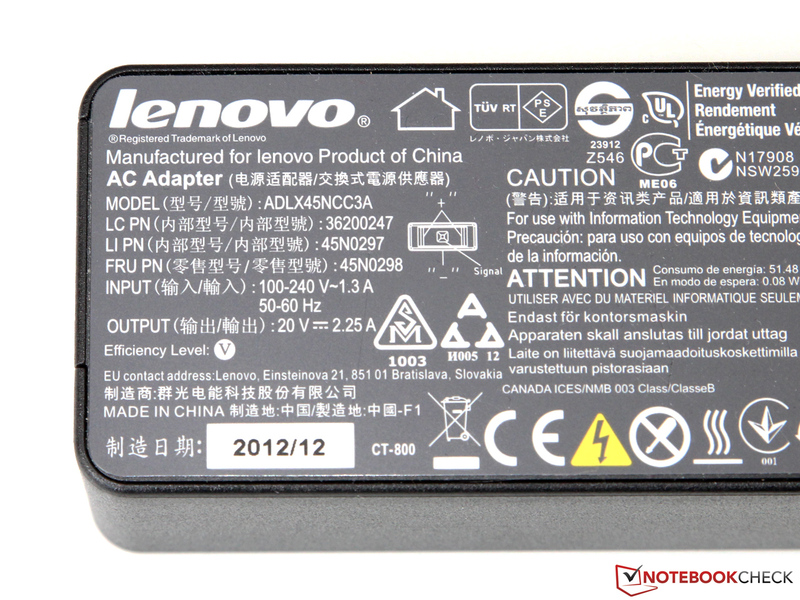 Lenovo claims that 42 Wh and 70 Wh will result in 5 hours and up to 8 hours of battery life respectively. As is the case with its competitors, the battery within the keyboard dock is drained first. During the Battery Eater Reader's test (minimum brightness, energy saving mode, all radios deactivated) the ThinkPad manages to stay alive for 9 hours and 19 minutes, more than on par with Lenovo's claims. Closer to actual usage scenarios is our Wi-Fi test (display brightness of 150 cd/m², Wi-Fi activated, continuous browsing) during which the Helix lasts for 7 hours and 18 minutes. If the screen is dimmed or even turned off from time to time, the ThinkPad's battery life should suffice for an entire 8-hour workday. Even while under full load during the Battery Eater Classic test (maximum brightness, full performance, all radios activated), 3 hours and 20 minutes is possible. All of these values hold true if both batteries are used. Without the keyboard dock, a decrease of about 40% should be expected. Nice: The tablet doesn't have to be charged via the keyboard dock - instead, it comes with its own power connector. 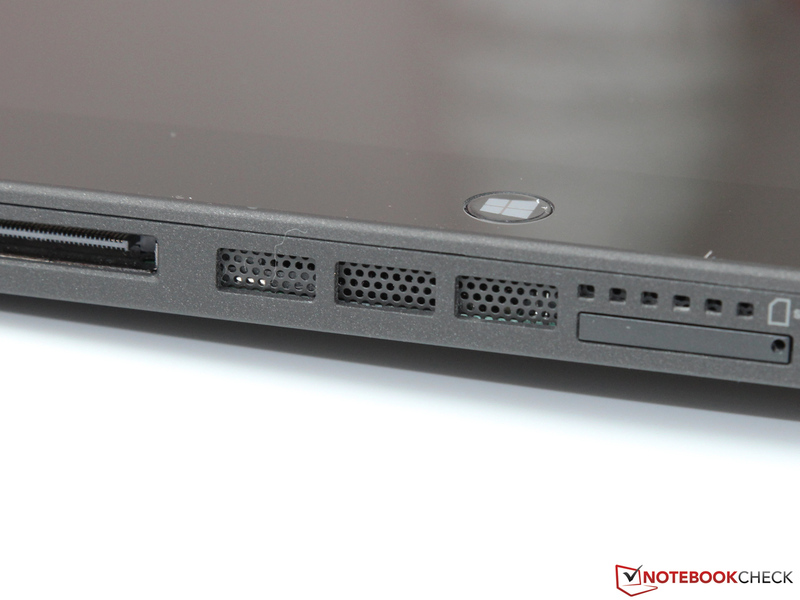 The ThinkPad Helix fits very well into Lenovo's existing product portfolio. However, it also raises the question "why so late"? 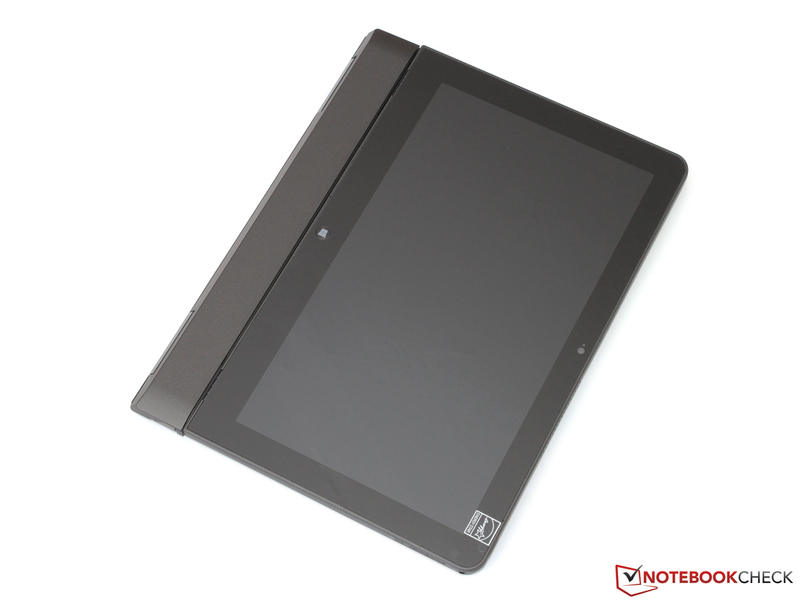 The basic idea of a full-fledged x86 tablet (even when used without the keyboard dock) offers an invaluable advantage in terms of mobility: No conventional convertible can ever get so light and compact when necessary. Its technical components are almost exclusively well-chosen too. 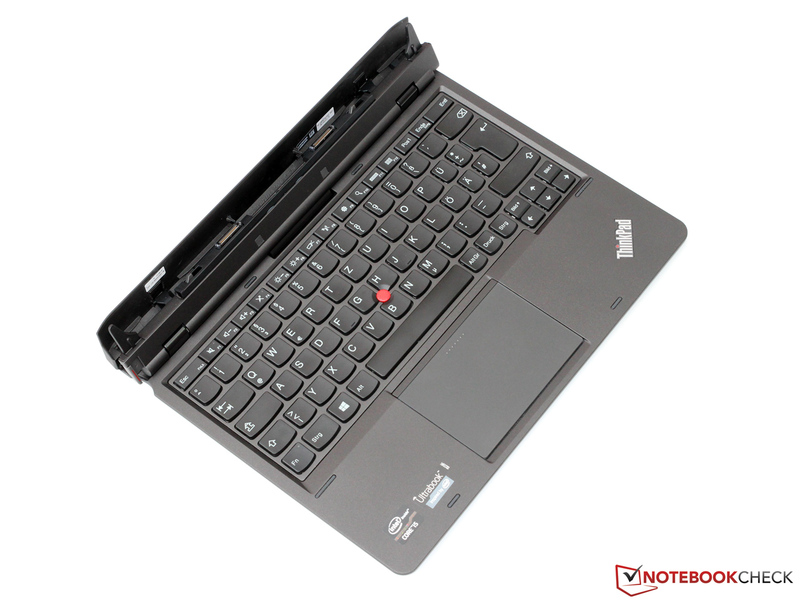 Traditional ThinkPad strengths such as excellent build quality, great input devices and low noise emissions are still present. We were quite impressed by the high-contrast, high-brightness Full HD multitouch display with great viewing angles which can be controlled with a digitizer pen as well. Unfortunately, there are also some details which might require some revision. Just 4 GB of RAM may not be enough for more demanding programs - and it cannot even be expanded. This complaint holds true for the entire device: When compared to other ThinkPads, there are very few options in terms of expandability, maintenance and connectivity - one of our main points of criticism next to the uncomfortably high chassis temperatures under full load. 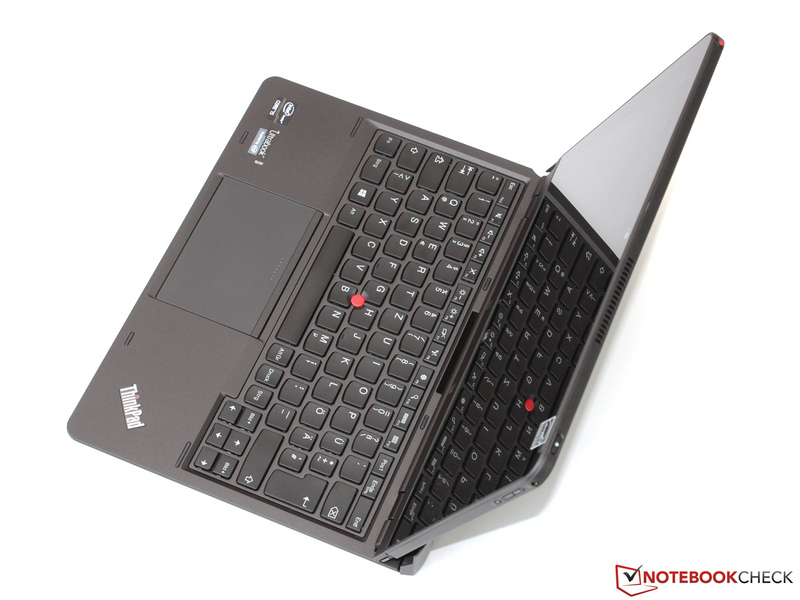 Overall though, the Lenovo ThinkPad Helix is not only an innovative product, but also a convincing one. At a price: Even our entry-level variant costs a steep 1700 Euros (~$2218), while Lenovo charges almost 2000 Euros (~$2609) for the high-end variant with a Core i7 CPU, 8 GB of RAM and a 256 GB SSD. This is definitely no steal, but still a fair price when considering everything the Helix has to offer. ...for an ordinary business laptop. 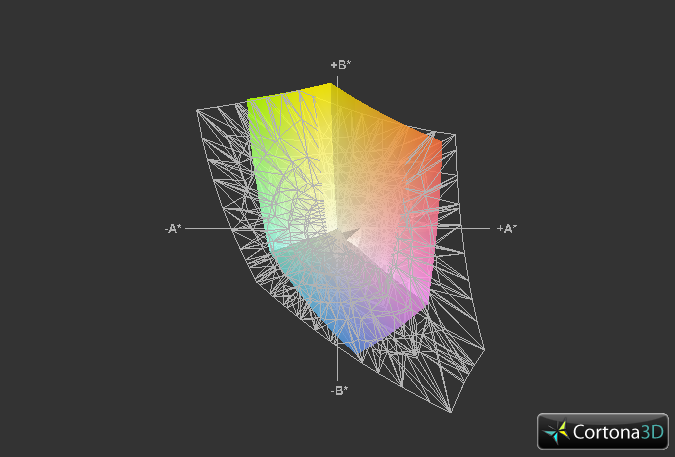 ...morphing the Helix into a tablet. ...thus allowing for higher Turbo clock speeds. ...which is held in place by magnets. The build quality of all mechanical parts is rather good. ...since there are no maintenance hatches. ...with a resolution of 5.0 and 2.0 megapixels respectively. In addition, there are several hardware buttons such as the volume rocker. Even without the keyboard dock, an external display or USB device can be connected to the Helix. ...as the Helix ships with a digitizer. ...while the large clickpad is a recent addition. The laptop measures only 20 millimeters in height. ...which is more than enough for its power-saving ULV components. 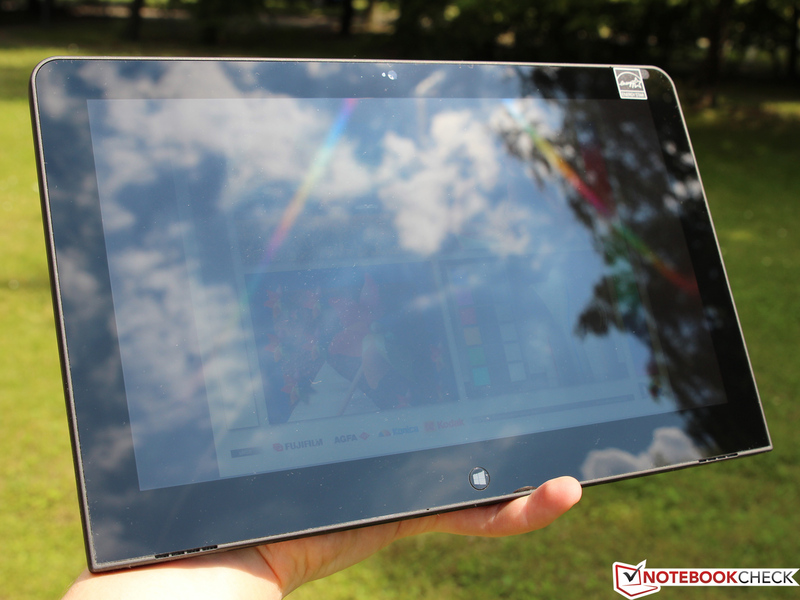 As with almost all tablets, the screen is highly reflective. Still, the screen contents remain readable, at least in the shade. It's all about flexibility: The ThinkPad Helix is perfectly capable of replacing both a tablet and an ultrabook whenever one or the other is required. Thanks to its excellent input devices and low noise emissions, the convertible is also a full-fledged office computer. 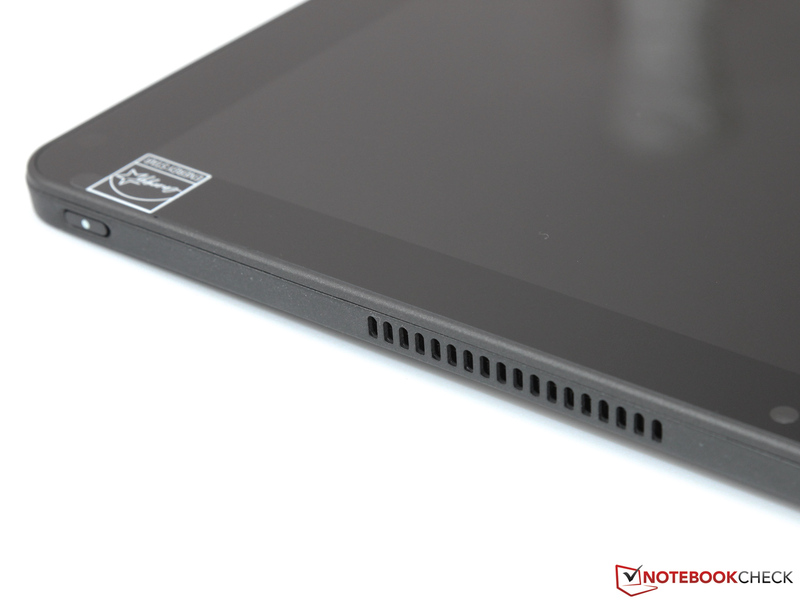 Despite of Lenovo's intricate cooling system, the tablet runs uncomfortably hot under full load. We hope for a speedy update to the less power-hungry Haswell chip - including an increase in graphics performance. We will probably not be the only review site left wondering why Lenovo chose to ship such an expensive business device with just 4 GB of RAM soldered to the motherboard. On a device like this, at least 8 GB of RAM should be installed. 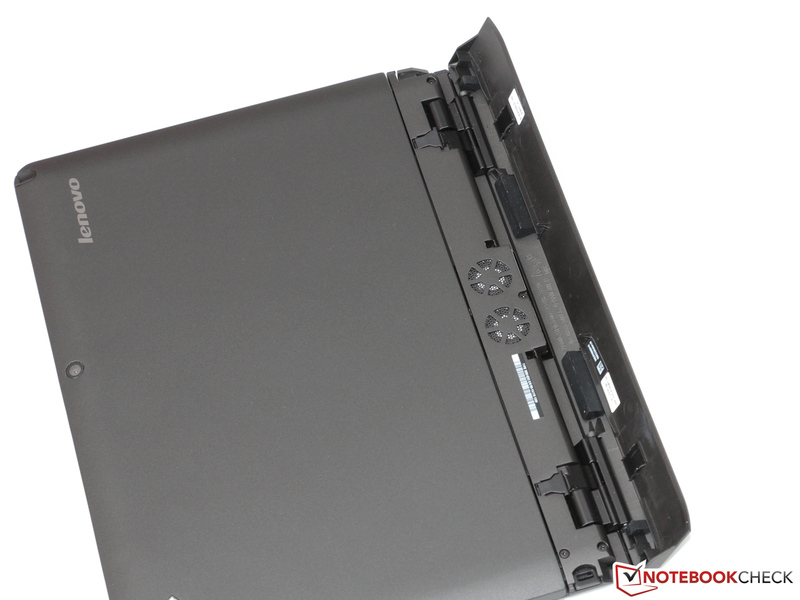 Those who are unhappy with the limited expandability of the Helix may want to have a look at some conventional convertibles such as the ThinkPad X230T or the Fujitsu Lifebook T902. Consumers (instead of business customers) might find the Microsoft Surface Pro, the Acer Iconia W700 or the Atom-based HP Envy X2 interesting.